When you take an adventure running tour with Adventure Running Co., you'll be treated like family. Owners Andy and Kim Holak are experienced trail ultramarathon runners and have been planning, operating and leading trail running tours for the past 10 years. 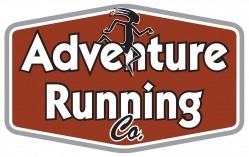 Adventure Running Co. is one of the oldest and most experienced trail running tour companies in the United States. Based in the North Woods of Minnesota on the shores of Lake Superior, Andy and Kim have explored many of the best trails in the North. Over the years, they've also run many of the most scenic and diverse trails in the country. Now, they'd like to share some of these adventure running experiences with you! 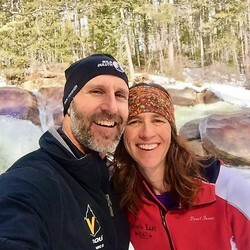 Along with their wide-ranging long distance trail running experience, both Andy and Kim are experienced trip leaders and former backcountry and wilderness rangers. Andy is certified through the Wilderness Medical Insitute in Wilderness First Aid and has been trained in wilderness search and rescue. Kim, also trained in Wilderness First Aid, will use her well honed skills as a teacher and backcountry ranger to listen to you and help ensure that you have a safe and enjoyable trip. As former members of the Vasque Ultrarunning Team and competitive trail and ultramarathon runners, Andy and Kim will share their years of running experience with you during your trip. You'll definitely leave your tour feeling more fit and perhaps just a little more ready for your next race or adventure! Our guides are experienced trail runners and capable wilderness trail leaders and will be attentive to your needs. You won't be treated like a "client," but as a part of our trail running family. Join us for a fun running adventure on one of the most beautiful trails around! "It's very rare that I will rate something perfectly, but this was a very rare experience - I was very, very impressed by the competence, attention to detail, attentiveness, and enthusiasm of Andy and Kim. The trail itself was awesome, but I feel like even if we had faced rain and muddy trails or any adversity (which we didn't..) Andy and Kim would have helped us get through it." "I don't see how a trip like this could be bad, but Kim and Andy made it superb! This is a perfect trip for running friends reuniting, training for ultras and just getting away and having fun which were all of the reasons we were there." "We've done quite a few "running adventures" around the world and this ranked in the top tier. THANKS Kim and Andy!"